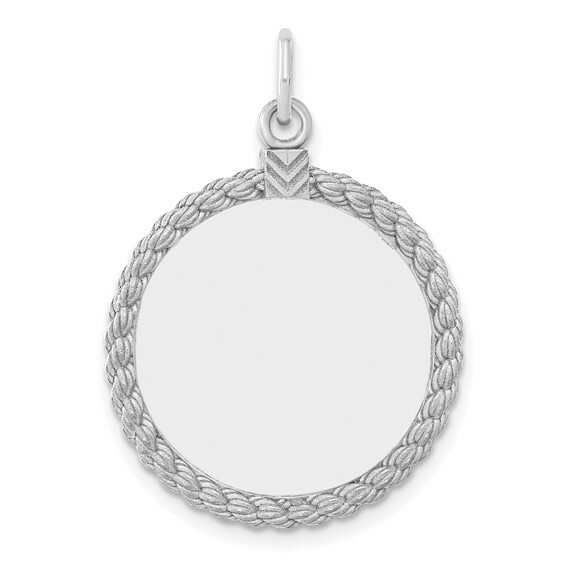 Sterling Silver Engravable Round with Rope Disc Charm. Weight: 2.75 grams. .018 inches thick. Measures 13/16 inch tall by 13/16 inch wide without bail. The engraved charms arrived beautifully monogrammed and sooner than I expected. I even received a personal call to verify my engraving request and to suggest a better way which I decided to do! The charms are a gift to my daughter who will add them to a bracelet inherited from her grandmother.